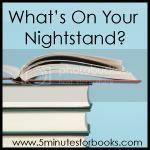 So what is on my Nightstand this coming month? 4. I finished reading through the Book of Genesis (Bible) this month and so next month I plan on re-reading it again and diving into Gleanings in Genesis , by A. W. Pink. 5. Lastly, I'm taking a C.S. Lewis class at our local University this term which has been extremely mentally exhausting interesting. It's also rather demanding on my reading time at the present. I was caught a little off-guard as to the timing of this class and my ability to attend at all came together last minute. As a result, An Experiment in Criticism has been left half-read (but I think I will be able to understand more of it after this class.) By the time this posts, I'll have just finished reading The Abolition of Man . Next in line is The Problem of Pain . It's a little C.S. Lewis heavy around here at the moment but that's ok. I don't think that's necessarily a bad thing. (ha!) It does stretch me, however. I don't find Lewis' non-fiction very easy to get through. I'm glad for the class because I'm able to grasp hold of a bit more than I know I would have were I all on my own. All of the above is more or less what's on my nightstand for the coming month. I have a few other odds and ends to throw into the mix, as always, but these are the staples for the month and the books I simply MUST get through. Onward and upward! 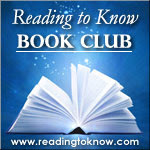 What do you have planned to read in the next month? Looking forward to checking out everyone else's Nightstand posts, per usual. Lewis' non-Narnian stuff is difficult for me, too! 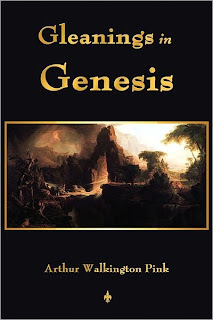 Even some of his other fiction leaves me scratching my head and wondering. What a wonderful opportunity, though, to take the class! Looks like a fun and varied list for this month! I've never read anything non-Narnian by Lewis. Narnia on the other hand is my all time favorite series. I have read it several times and I love it more each time I do. LOVE the Mysterious Benedict Society books, they are so good! I have GOT to get to the Benedict Society books some time. 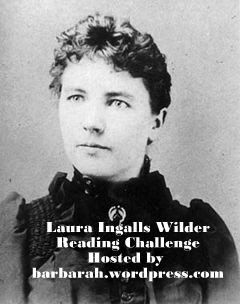 Thanks for mentioning the LIW challenge! Reading Lewis's non-fiction is very mentally exhausting to me, too, but very beneficial. I read Mere Christianity in my early blogging days and couldn't even review it -- I had pages and pages of quotes marked but even just a few of them created an extra-long post that I never published. I want to read that one again some day as well as some of his others. Fun list!! I guess I missed out on LMM this year (again). Bummer. I definitely want to read more sometime. Maybe next year with Kyle. I think he might get a kick out of her. I enjoyed The Mysterious Benedict Society. It eventually wound its way through my daughter and husband too. I love when we can all share a book. 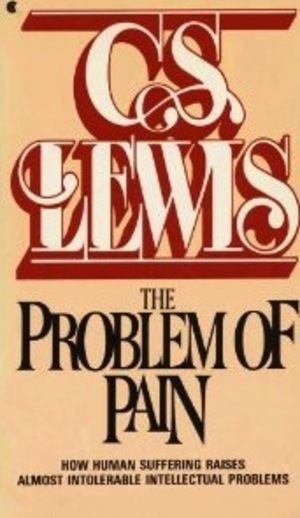 The Problem of Pain is a good book. 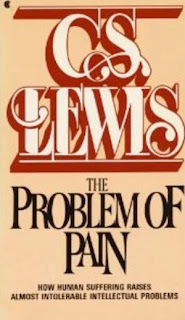 The Screwtape Letters is one of my favorite Lewis' books, and of course Mere Christianity. I need to re-read The Great Divorce because I don't think I really understood it the first time through. I am so happy you mentioned the LIW challenge! I kept thinking to myself that someone needed to have one!! Definitely partaking in it! Looks like a great month to me! I may have to indulge in a visit with the Mysterious Benedict Society again just to relax sometime in the next month. . .
Looks like an awesome list this month, as usual. :) Your class sounds like a lot of fun! I'd love to take a Lewis class sometime. 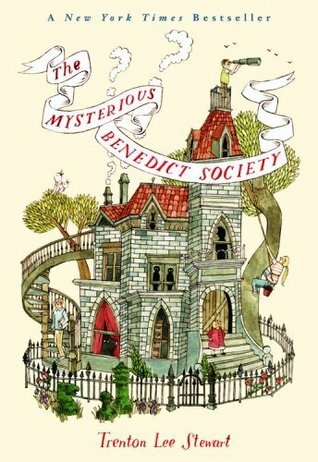 We love The Mysterious Benedict Society here, too! My daughter wrote a letter to the author, and she got a form letter back, but he added a personal note to the bottom. So cool! I have say that because of you my daughter's favorite books are The Mysterious Benedict Society. She has listened to the audio books over and over. For Christmas she received the 3 book set and she is thrilled!!! I have to admit I'm a wimp when it comes to C.S. Lewis. I've only read one Narnia book and am too chicken to attempt his non-fiction. Surprised by Joy is one of my favorites by Lewis. I also love The Great Divorce. I re-read the Little House books last year, all but Big Woods incidentally. I loved (LOVED!) them as a girl but I didn't expect to find them as charmingly written as I did. I enjoyed the re-read very much! I really enjoyed THE MYSTERIOUS BENEDICT SOCIETY, except I found that at times it was a bit lacking. First, I want to say that the author's writing style was marvelous. It definitely had the magic feeling that Roald Dahl put into his books that made them so wonderful. There was that extra umph to the book that made it quite enjoyable. Returning again to my reference of Roald Dahl, I felt like the adventure these kids went on was much like the adventure Charlie from CHARLIE AND THE CHOCOLATE FACTORY went on, without the candy!